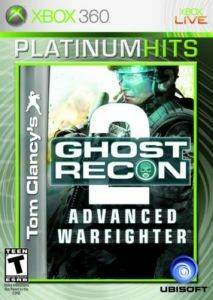 Groundbreaking Visual Experience: The war zone in Tom Clancy's Ghost Recon Advanced Warfighter 2 comes to life as you navigate through trash-strewn streets and pick off enemies from behind bomb-scarred structures. The cutting-edge physics and particle systems will show you some of the most intense and realistic explosions, smoke, and environment destruction ever seen in a video game. Dynamic lighting and shadows will morph as real-time day/night cycles and a constantly changing weather system require you to adjust to the changing conditions on the fly.